Bill Brantley Aycock focuses his practice in commercial real estate. Mr. Aycock assists and advises clients in a broad range of commercial real estate matters and transactions, including the representation of owners, developers, buyers and sellers. 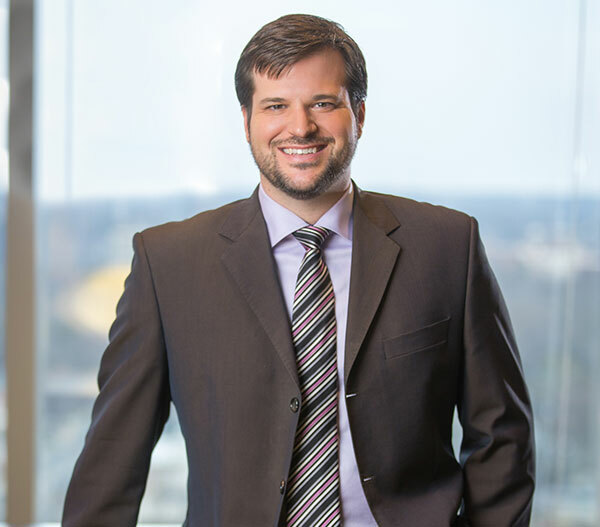 He provides ongoing counsel and advice for real estate related ownership structures, including limited liability companies, partnerships, corporations and joint ventures. He assists in the preparation of appropriate governing documents such as articles of organization, operating agreements, partnership agreements, articles of incorporation, bylaws and minutes of action. He regularly assists both landlords and tenants in leasing of all manners of properties, both commercial and residential. He represents and counsels owners’ associations in various legal matters; and conducts and advises on title examination and title insurance matters. Mr. Aycock has also spent significant time assisting clients in the real estate aspect of mitigation banks and banking instruments for all manner of environmental preservation and restoration, including stream and wetland mitigation, and species preservation. Mr. Aycock is married to Solveig Aycock and they have one son. He enjoys food, travel, autocross and spending time with his family.